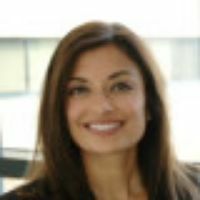 Dr. Lina Mehta is the Associate Dean for Admissions at Case Western Reserve School of Medicine and is an Associate Professor of Radiology at University Hospitals Case Medical Center. She has held many administrative roles in the context of both of these positions, including having served as the chairperson for Radiology Risk management and Quality at University Hospitals of Cleveland, serving for several years on a Interim Vice Dean for Medical Education team at the School of Medicine and now holding a member at large position with the Central Group on Student Affairs. Dr. Mehta believes in the power of mentorship and is the faculty mentor for many student groups at the School of Medicine and also mentors nationally.